It’s been a while since we released the A0 poster: Veeam Backup & Replication v7 for Hyper-V. Since that time, we celebrated at our inaugural VeeamON 2014, released Veeam Availability Suite v8 and started sending out our Veeam Endpoint Backup FREE beta. Even though we have been very busy, we did not forget about our promise. 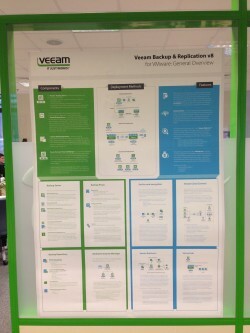 Many of you have been asking if we would create another poster of Veeam Backup & Replication, just related to VMware. We heard you and today we are happy to announce the new poster is complete! 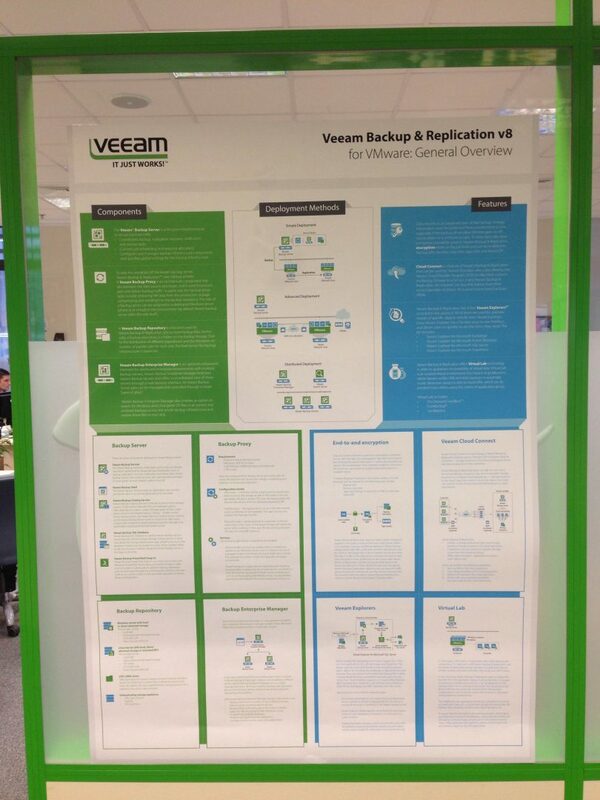 This poster is all about Veeam Backup & Replication v8, and how it works with VMware infrastructure. Compared to the Hyper-V poster, we’ve redesigned poster’s layout, changed the color scheme and included lots of different visuals and some new features of v8. This new poster also includes components, features and deployment methods — something you may have heard about. Use this poster just like that: simply print it and hang at your office, so everyone can get access the useful information. We have already been anticipating your NEXT question and the answer is YES, we do plan to update the Hyper-V poster very soon! Plus, we plan to design even more posters in the future. Please let us know which posters you think should be at the top of our list! We’d also like to know exactly what you’d like to find out: How Veeam components work with ports? The differences and similarities of backup modes? Something else? Please share your comments below.